This week as the world prepares to celebrate St. Patrick’s Day and all things Irish, Bord Bia is planning a number of marketing and promotional activities around the world to highlight the quality and sustainable nature of Irish food and drink to a global audience. From Moscow to Shanghai, through its network of international offices, Bord Bia has coordinated events aimed at consumers, retailers, trade and foodservice operators. In 2013, the value of Irish food and drink exports reached almost €10 billion, with exports destined for in excess of 175 countries. Eleven Irish food and drink companies including Clonakilty Black Pudding, Burren Smokehouse and Keogh’s Crisps will participate in the ‘Irish Food Market’ at Trafalgar Square, as part of the annual Mayor’s St. Patrick’s Day Festival. The UK continues to be Ireland’s principal export destination with exports valued at €4.1 billion, representing 42% of total Irish food and drink exports in 2013. Earlier this month, Bord Bia launched a comprehensive digital campaign including Irish beef recipe competitions and targeted online advertising across key platforms such as jamieoliver.com, delia online and allrecipes.co.uk, three of the UK’s leading recipe websites. Bord Bia is also supporting the official launch of the Ocado Irish shop (www.ocado.com/Ireland) with planned online and print promotions. In total, over 40 Irish brands will be available on the Ocado online shop covering all the main food categories, including bakery, snacks, dairy, chilled and frozen, soft drinks and alcoholic drinks. In addition to the consumer-facing activities, on Friday 14th March, fourteen Irish exporters will join the Minister for Communications, Energy & Natural Resources, Mr. Pat Rabbitte TD, and the Irish Ambassador to the UK, Mr. Daniel Mulhall for an Origin Green Business Breakfast briefing at the Irish Embassy in London. Meanwhile in Paris, Tánaiste Eamon Gilmore will visit the Irish food companies participating at the Wabel Frozen Food Summit next week. Five Irish manufacturers – Silverhill, Silverpail, Keohane Seafood, Liffey Meats and Kepak – will meet with key European retail frozen food buyers. Bord Bia has joined forces with Tourism Ireland and food writer Trish Deseine to support a promotion which will see Irish Michelin Star chef, Enda McEvoy and his second chef, Conor Cockram travel to Paris to cook with award-winning French chef, Eric Trochon in his restaurant, Semilla. The restaurant is located in the Saint-Germain quarter and the Irish chefs will join him for three days, spanning from the French-Irish rugby international on March 15th to St. Patrick’s Day. Bord Bia has also engaged a number of leading French retailers to support its St. Patrick’s Day promotions. Irish Angus Beef and Irish seafood – including crab, mussels, salmon and oysters – will be the centre of attention across some 120 Casino stores. Groupe Casino is the 5th largest retail group in France with an annual turnover of €42 billion. Meanwhile, Intermarché, the 3rd largest grocery retailer in France, is planning a nationwide promotion on Irish steer ribs across 1,500 stores and Monoprix, the leading high street supermarket in Paris, will host an in-store promotion of Quality Assured Irish beef across 90 outlets. After the UK, France is Ireland’s second most important export market with annual exports valued at €673 million in 2013. The Minister for State for European Affairs, Paschal Donohoe TD, will visit Bord Bia’s Origin Green stand at Tavola, a Belgian foodservice trade fair taking place from 16th – 18th March. In addition, Irish beef and lamb will be promoted across all seven Metro Cash & Carry stores in Belgium. Metro is the largest European Cash & Carry, with a global turnover of €31 billion. Metro Belgium purchase Irish beef, lamb, seafood, butter and spirits and for the past four years, in conjunction with Bord Bia, they have coordinated a St. Patrick’s Day promotion. The Minister for Jobs, Enterprise and Innovation, Richard Bruton TD, will support and attend a number Bord Bia events during his planned trip to Italy next week. On Saturday 15th March, Minister Bruton will host an annual networking dinner which attracts almost 200 attendees. On St. Patrick’s Day, over 30 key retail trade, foodservice and local media contacts will attend a business briefing with Minister Bruton at the Irish Embassy and on Wednesday 19th, the Minister will meet with the CEO of Carrefour Italia and the senior meat buying team. The presence of Irish Hereford range of beef is expanding from three to 20 Carrefour stores following a successful launch on TV show, Masterchef Italia. In addition to the Carrefour activity, Il Gigante, an Italian supermarket chain, will run in-store Irish beef promotions over the St. Patrick’s Day Weekend. Bord Bia’s German office will host a business networking lunch at Shane’s – a restaurant in Munich, run and owned by Limerick man, Shane McMahon. The Minister of State, Fergus O’Dowd will attend the lunch alongside representatives from the Irish agencies and a number of key local trade contacts. Shane was the first Irish member of the Chefs’ Irish Beef Club in Germany, a Bord Bia initiative aimed at highlighting the premium image of Irish beef overseas. During the St. Patrick’s Day parade in Munich, spectators will be given the opportunity to enjoy Irish beef steak sandwiches at a Bord Bia stand. 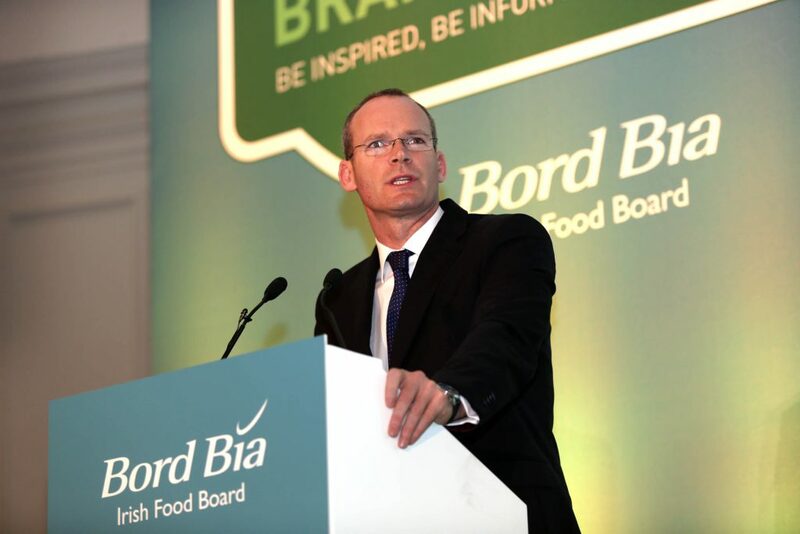 The Minister of State for Small Business at the Department of Jobs, Enterprise and Innovation, John Perry TD, will join Bord Bia Madrid to visit El Corte Ingles, Europe’s largest department store group. The Minister will meet with the senior management team who are working with Bord Bia to promote Irish beef during the St. Patrick’s Weekend. Further promotional activities will also take place across other key export markets including the Netherlands and the Nordic countries. An Taoiseach Enda Kenny will present a hamper of Irish food products to the First Lady Michelle Obama and Dr. Jill Biden during his visit to the White House on St. Patrick’s Day. 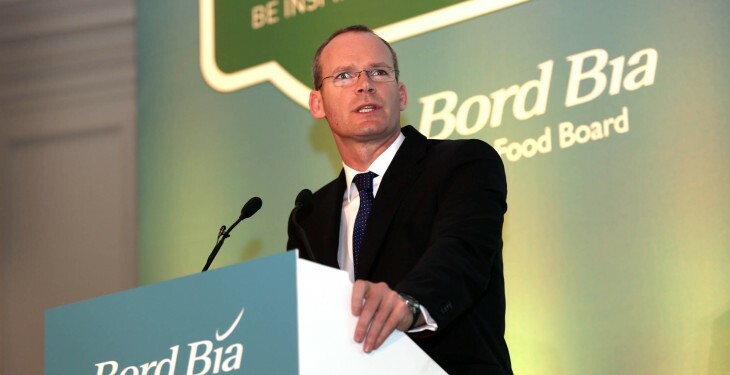 The hampers, coordinated by Bord Bia, will represent Ireland’s food exports to the US market. Bord Bia Moscow have organised a timely media briefing for Russian journalists on the sustainable nature of the Irish food and drink industry, while in Asia, Bord Bia’s Shanghai office have developed a significant number of consumer and trade events. Tmall, China’s largest B2C retailer representing 46.1% of the e-commerce market, will run an Irish food promotion, in conjunction with Bord Bia, covering dairy, seafood and alcoholic beverages. With over 500 million registered users and more than 100 million unique daily visitors, the sales promotion is expected to generate some extra €100,000 revenue for Irish companies. The selection of premium products includes boarfish, crab, Dublin Bay prawns and mussels; Kerrygold Butter and Dubliner cheese; and Jameson Irish whiskey and Bailey’s Irish Cream. Irish food and drink exports to China grew by over 40%, with values trebling over the last three years to reach €390 million in 2013, leading it to become Ireland’s sixth largest market overall. Also in China and to further highlight the premium positioning of Irish seafood, Bord Bia will host an event for over 40 Shanghai based seafood buyers which will be attended by the Minister Public Expenditure and Reform, Brendan Howlin TD. The buyers represent China’s largest retailers and distributors into Shanghai’s high end hotels and restaurants. The event follows the growth of Irish seafood exports to China by 26% in 2013, and now the market represents Ireland’s 4th largest export market for crab (€1.75 million) and 8th largest market for shellfish (€5.3 million). It is forecast that the €7.5 billion Chinese market for imported seafood will double by 2020. In South Korea, Bord Bia is supporting a promotion of Irish salmon and mackerel with the Lotte Group – the largest retailer in the South Korean market while Irish food will also be showcased at two Department of Foreign Affairs trade events in Africa – in Lagos and Abuja.